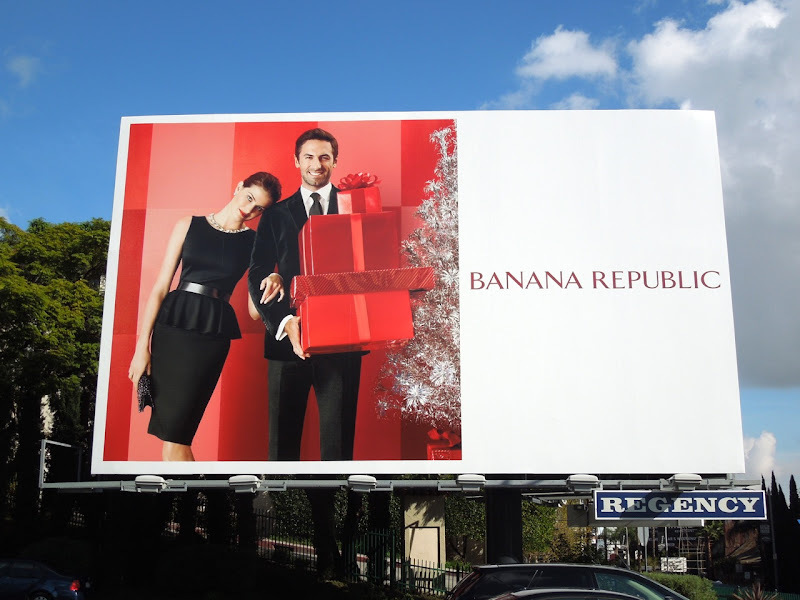 Daily Billboard has really come to look forward to Banana Republic's annual Holidays ad campaign, as the billboards are always so bright, bubbly and brimming with festive joy. 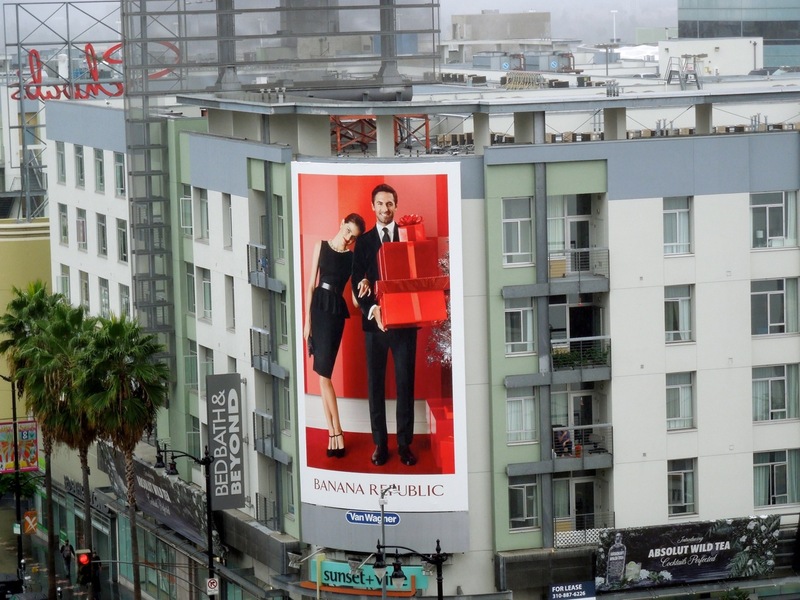 That rich red and the gorgeous models really do pop against the Los Angeles skyline come rain or shine (although they do look even more dazzling against a perfect blue Californian sky). 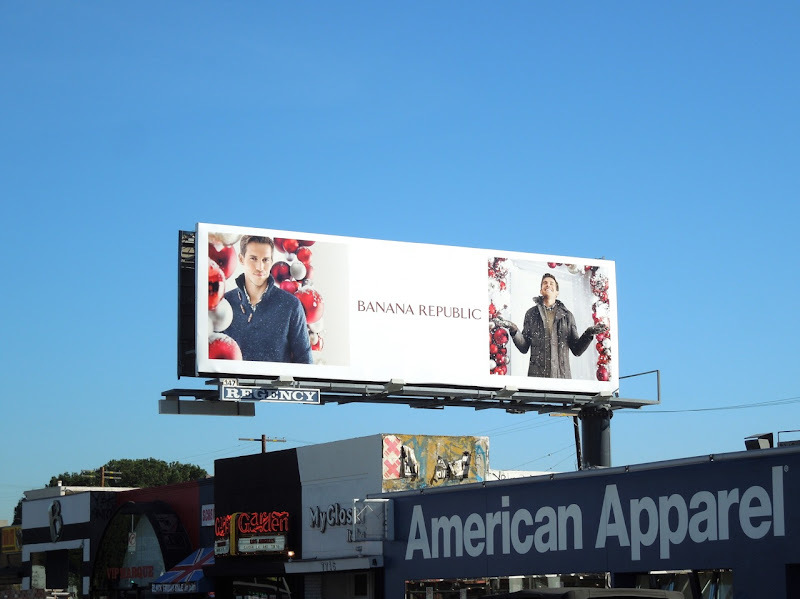 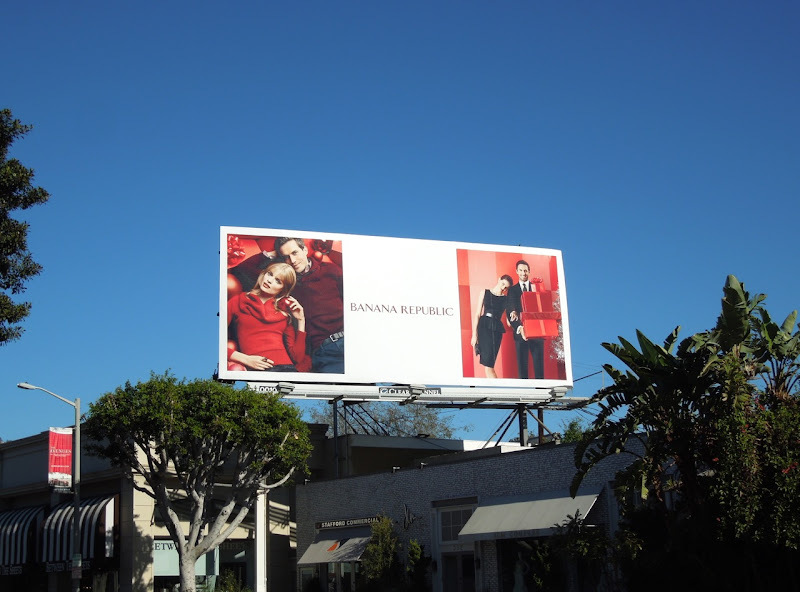 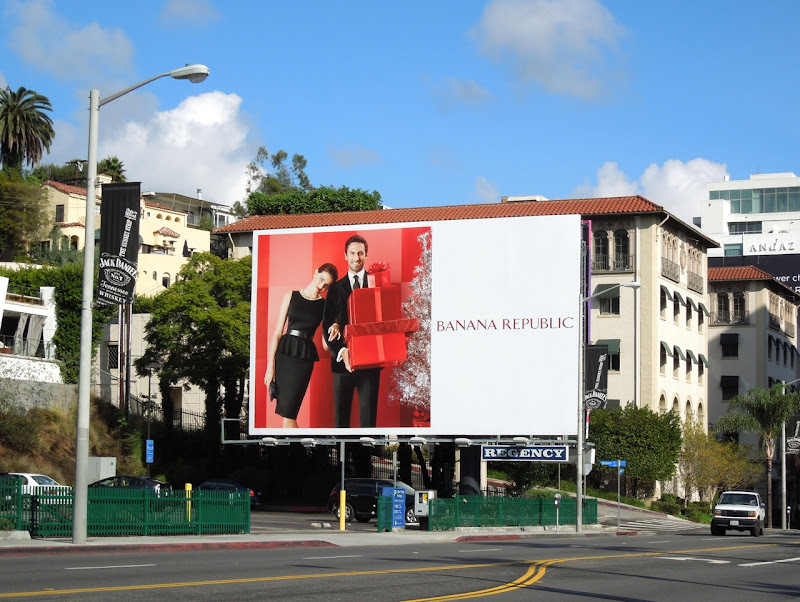 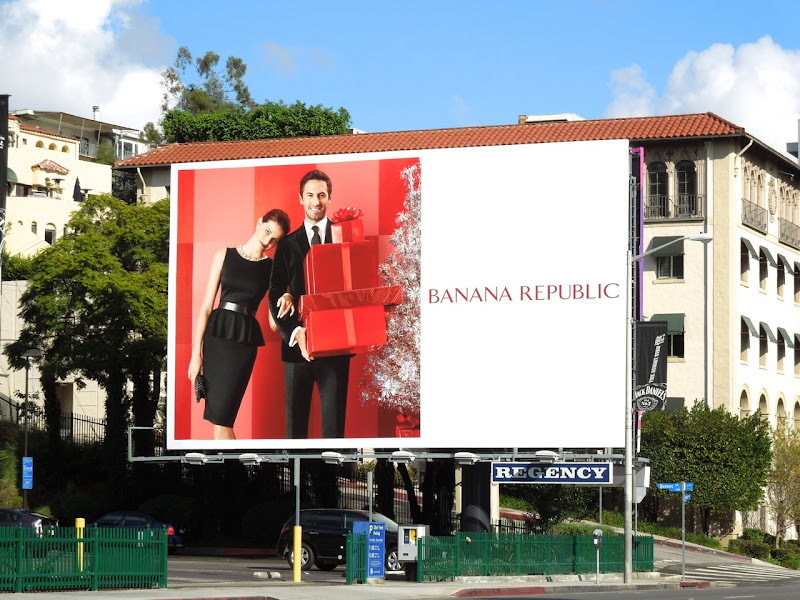 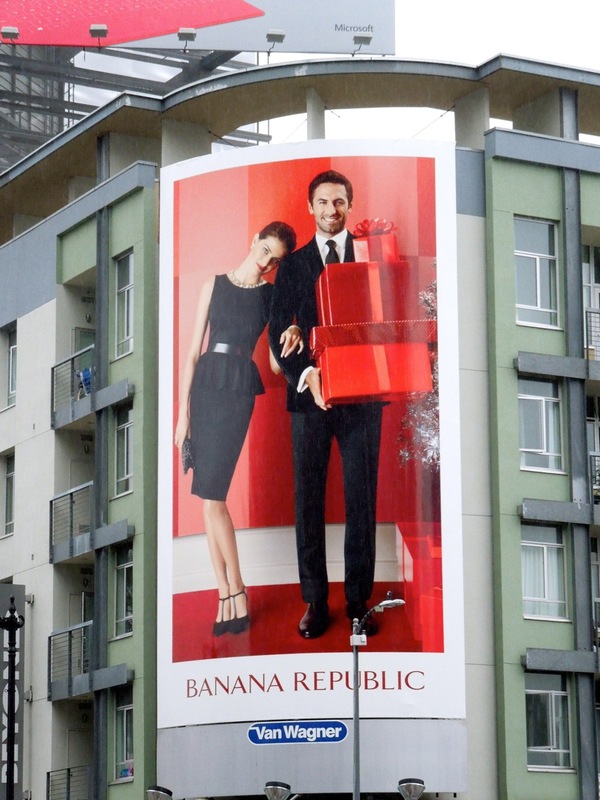 This stylish collection of Banana Republic billboards were spotted all around the streets of L.A. from Sunset Boulevard and Santa Monica Boulevard, to Melrose Avenue, Robertson Boulevard and Sunset & Vine in Hollywood, from November 23 to December 3, 2012. 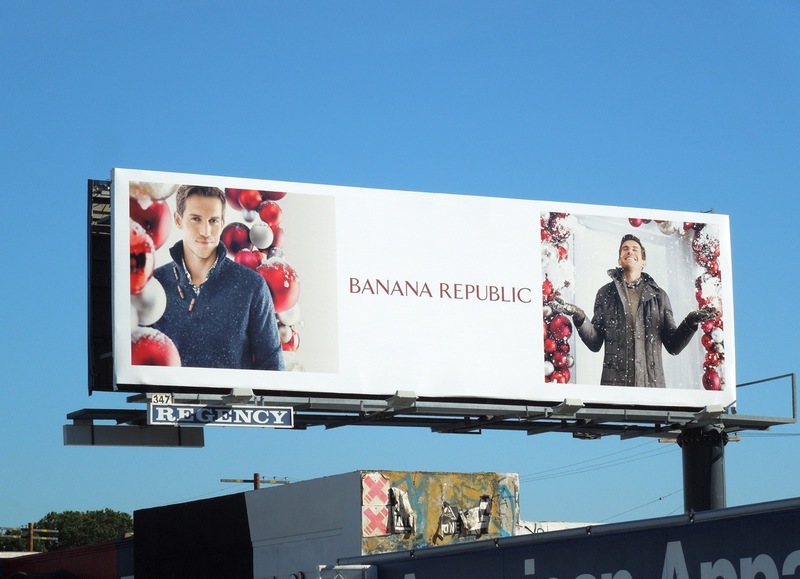 If you like these, be sure to compare them to Banana Republic's Holidays billboards from last year. 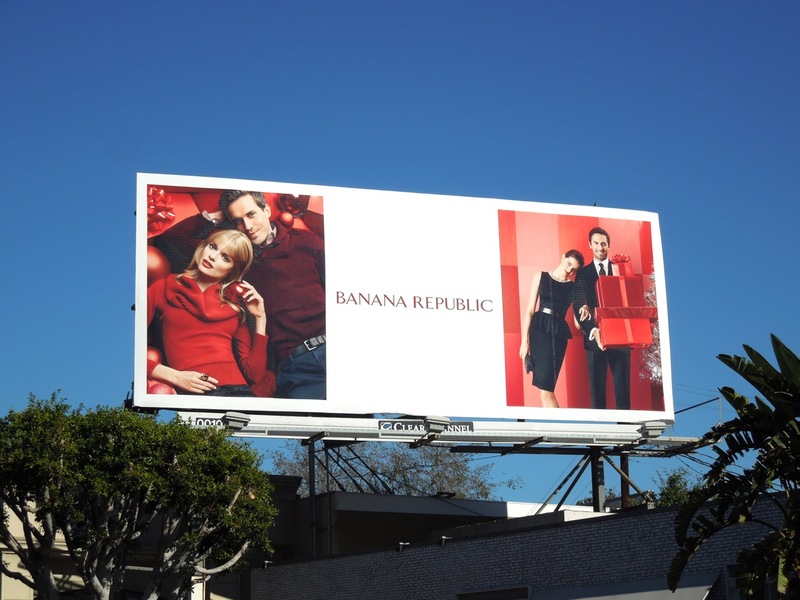 Plus if you're a fan of the fashion brand, take a look at Banana Republic's Fall/Winter 2012 ad campaign and their fun Mad Men TV inspired limited edition collection. With all those presents, decorations and winter looks are you feeling festive yet?